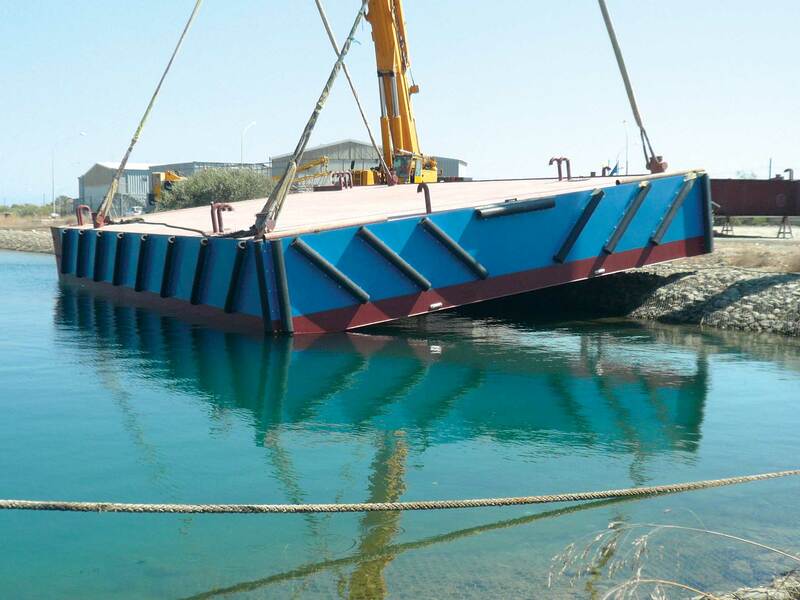 Multimarine Services Ltd successfully completes the Engineering, Procurement, Contruction and Installation (EPCI) of the Mooring Pontoon MMS-P301. 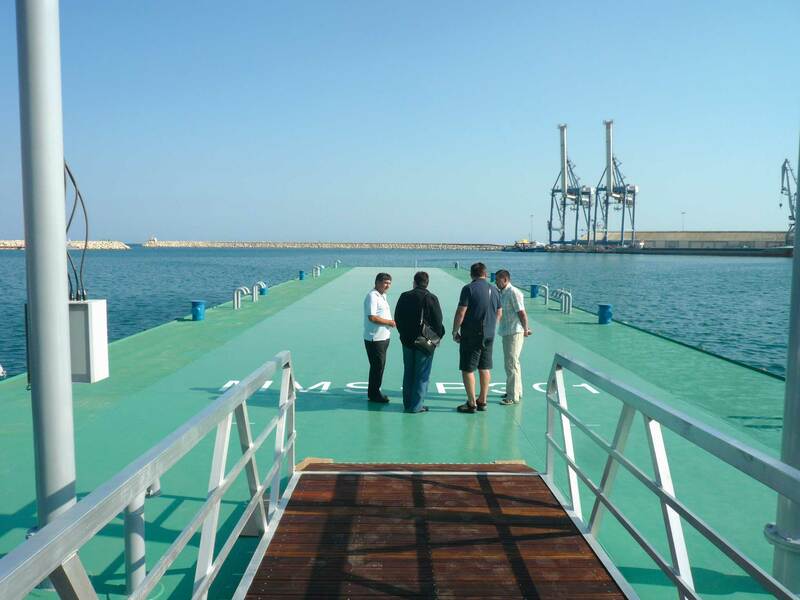 The official installation and handover ceremony to the owners Lenachan Trading Ltd, took place at the Port of Larnaca. More than 150 guests honoured the ceremony with their presence including the Honorary Mayor of Larnaca Mr. Andreas Moiseos, the President of the Board of Directors of Cyprus Ports Authority (CPA) Mr. Chrysis Prentzas, Members of the Board of Directors of the CPA, the General Manager of CPA and the Port Masters of Limassol and Larnaca. The Mooring Pontoon project was awarded to Multimarine Services Ltd, following an international contest. 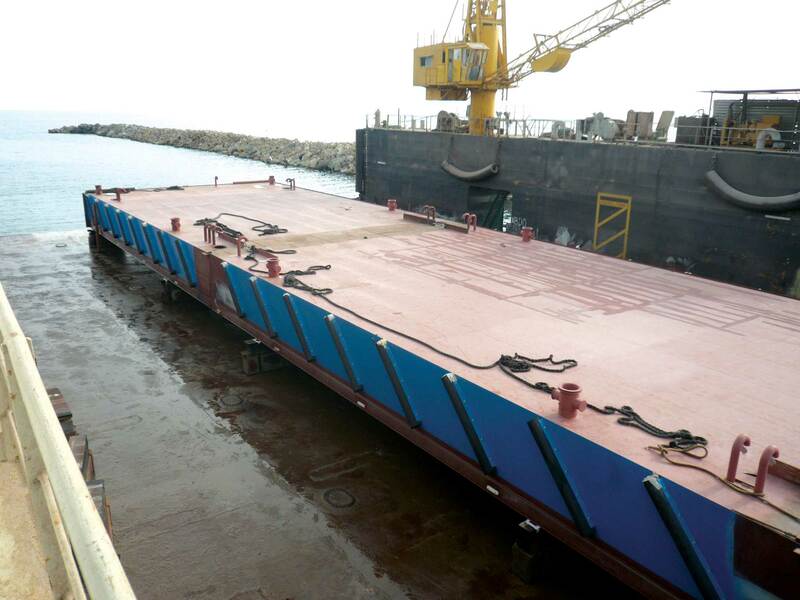 Multimarine's tender package was favoured against shipyards from Greece, Italy, Turkey, Russia, Sweden & Ukraine who participated in the contest and all of which were approved and certified by classification societies, members of IACS. 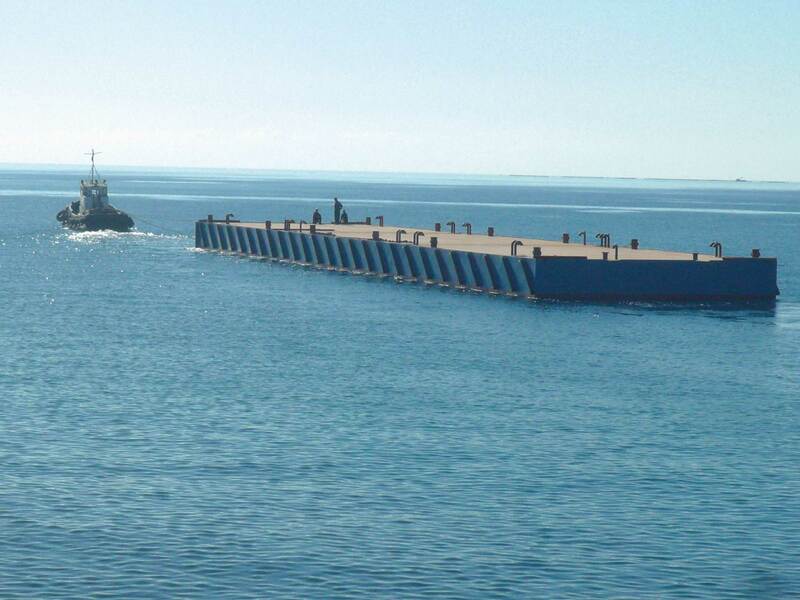 The pontoon was designed in accordance with international marine standards and the construction drawings were approved and verified by the Classification Society Det Norske Veritas (DNV). 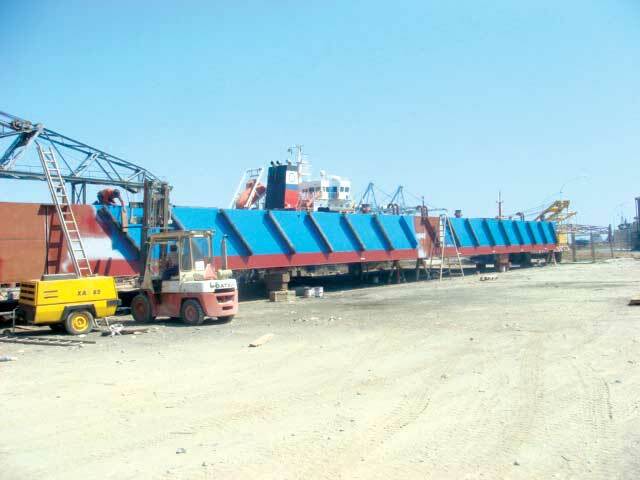 The procurement of high quality materials and outfittings was done from several European countries such as Germany, UK, Spain, Greece and Sweden. 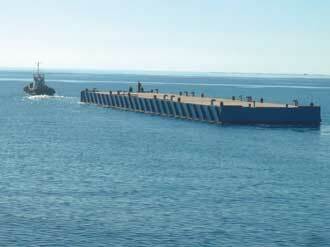 The pontoon, with measures 60m Length, 12m Width and 2m Height, was fabricated in Multimarine’s shipyard facilities inside Limassol Port. The inspection during fabrication was undertaken by Cyprus Bureau of Shipping. 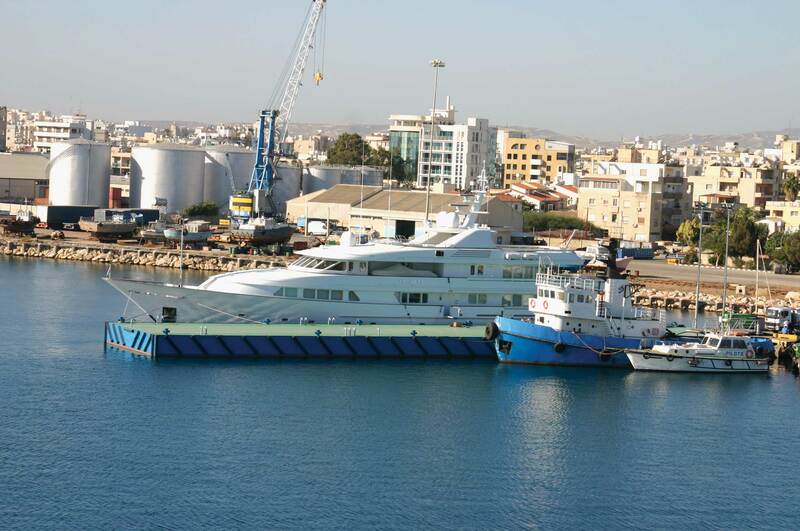 After its completion it was towed and installed in Larnaca Port for the mooring of the Russian owned M/Y OLYMPIA and of the CPA Tug Boats. 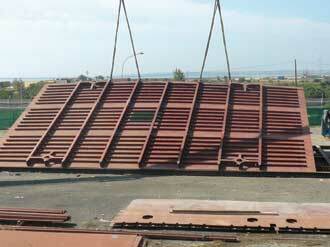 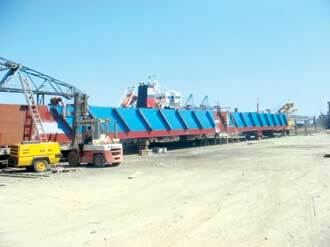 Multimarine Services Ltd, is an ISO 9001:2008 accredited organization from Germanischer Lloyd. 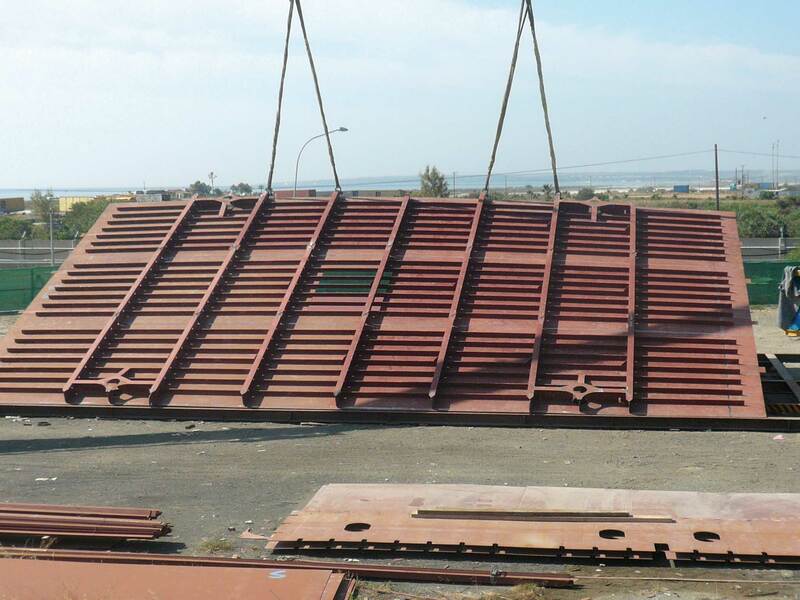 In addition, the company holds welding approvals from 3 different Classification Societies members of the IACS: Det Norske Veritas (DNV), Bureau Veritas (BV) and Germanischer Lloyd (GL) (Approved Welding Workshop).